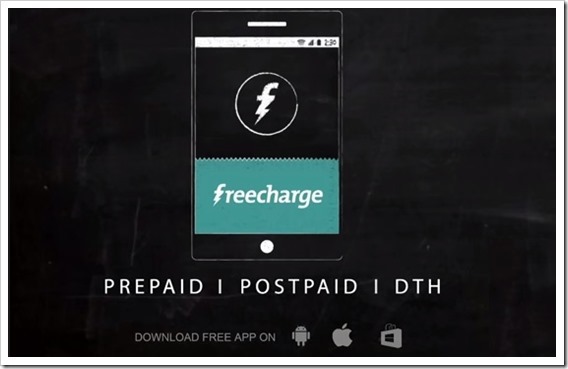 India’s leading mobile recharge platform Freecharge has raised USD 33 million (about INR 200 cr) from their existing investors Sequoia Capital along with new investors that include Belgium based Sofina and Russian investment firm ru-Net. Accelyst Solutions Pvt. Ltd, the company behind FreeCharge was started by Kunal Shah in 2010. They received undisclosed amount of seed funding in 2010 from Tandon group, Mumbai angels and Sequoia. In December 2011, they secured $4 million Series A funding from Sequoia Capital. Kunal Shah, founder of Freecharge later bought in Alok Goel as CEO of the company. Post this funding, Freecharge has added Gokul Rajaram (Ex Facebook / Google Adsense Fame), Koh Boon Hwee (Chairman of Credence Capital), and Dhiraj Rajaram (CEO of Mu Sigma) to its board of advisors. The new round of funding will be used for marketing and building a advertising platform that will capture offline and online customer purchase behaviors and their brand preferences. This intelligence will come from users who recharge on their platform using various coupons and incentives provided. Freecharge had recently acquired (acqu-hired?) Wishberg and Preburn. The latter seems to be a strategic acquisition as they provide smartphone users with app recommendations. Online recharge is growing at hectic speed, thanks to the freebies and coupons offered by platforms like Freecharge. More often than not the value of freebies and coupons offered is more than the amount of recharge done. This becomes a win-win for users as well as brands who want to promote. As per the latest TRAI report, India had 915 million mobile subscribers by end of June 2014. Over 95 percent of these are on pre-paid users. So, the market has huge potential for online recharge companies. Apart from pre-paid mobile recharges, Freecharge offers mobile postpaid bill payments, Data Card recharges, DTH recharge. Freecharge also has mobile apps on various platforms including Android, iOS, and Windows. Majority of their transactions happen through their mobile platforms and that percentage is increasing even further. Freecharge’s competition includes market leader Paytm, and other smaller players like rechargeitnow, easymobilerecharge, Justrechargeit.